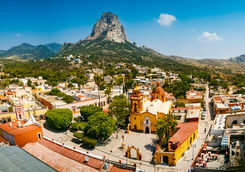 Mexico is brimming with history - its colonial splendour speckles the hillsides in the form of colourful cities and graceful towns. 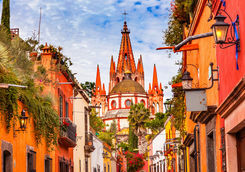 This 12-day itinerary takes in the country's storybook settings from buzzing Mexico City and the highland gem of San Miguel de Allende to pastel-hued Guanajuato and elegant Morelia. 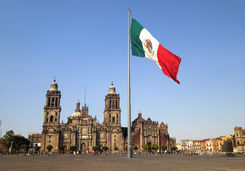 Your direct 11-and-a-half-hour flight leaves London in the early afternoon and lands into Mexico City in the evening. 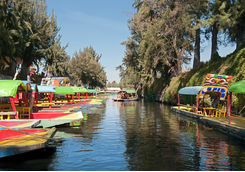 A private driver will be waiting to whisk you into the heart of the city. 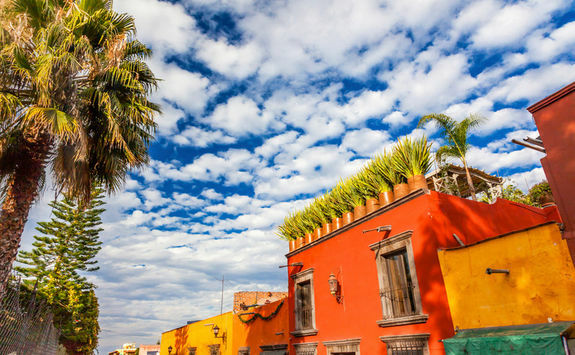 After dinner in the hotel restaurant, you may want to bunk down in preparation for tomorrow's adventure, although there's every excuse to explore the city's cool host of mezcalerias should you feel tempted. 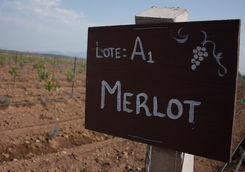 If so, consult our detailed destination Dossier. 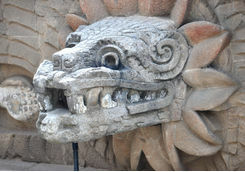 After breakfast, meet your private guide who will accompany you to the ancient Mesoamerican city of Teotihuacan. 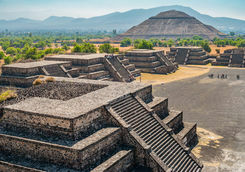 Otherwise known as 'the birthplace of the gods,' explore its mysterious pyramids and temples as your guide regales stories from a pre-Columbian past. 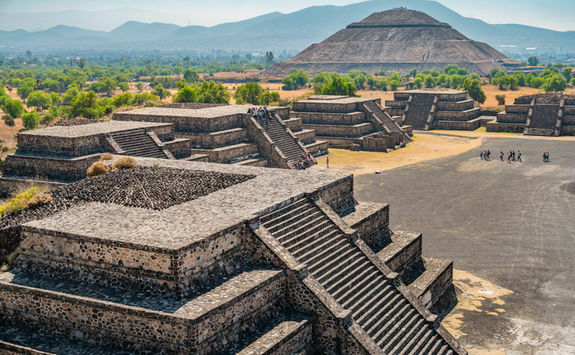 Those feeling energetic can hike the 142ft to the top of the Pyramid of the Sun - the third largest pyramid on earth. 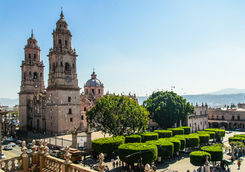 Gaze over the complex's sheer magnitude with views over sweeping stone steps and wide avenues. 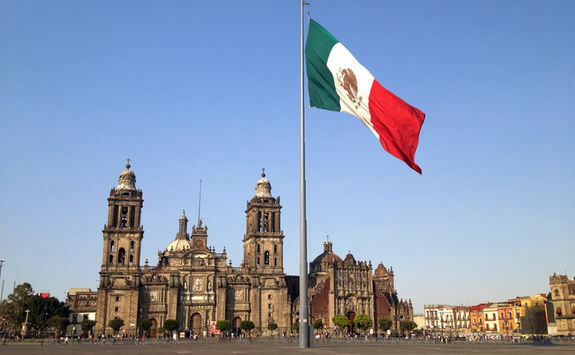 In the afternoon, hit the capital streets as your guide introduces you to the huge Zocalo square, the beating heart of the city, and the grandiose Palacio Nacional, famed for Diego Rivera's murals of Mexican history. 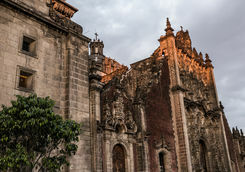 Then feast your eyes on the baroque Catedral Metropolitana built atop the Aztec ruins of Templo Mayor. 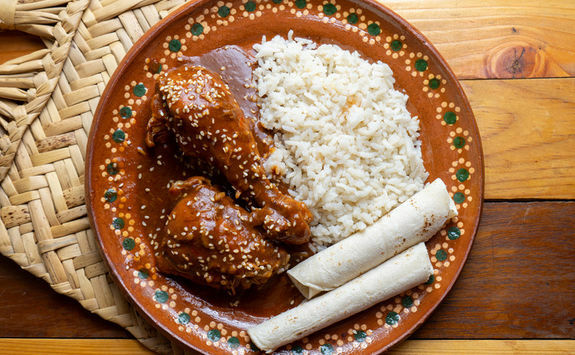 Mexico City boasts a mind-boggling array of restaurants - there’s no doubt that foodies will be in seventh heaven. 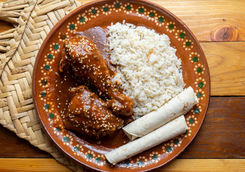 We can arrange anything from cooking classes in cool pop-up restaurants to taco tastings accompanied by a mezcalillero (a mezcal connoisseur). 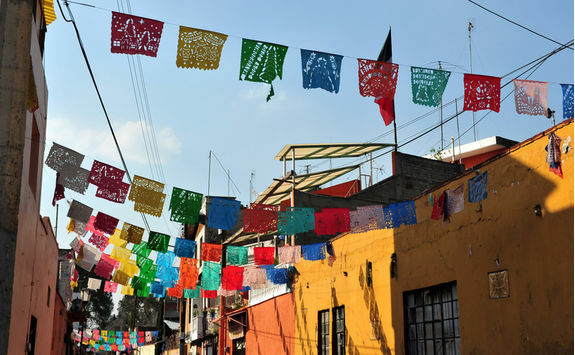 You've explored Mexico City's centre, so today your guide will take you to the smaller southern neighbourhoods to discover their artistic treats and old world elegance. 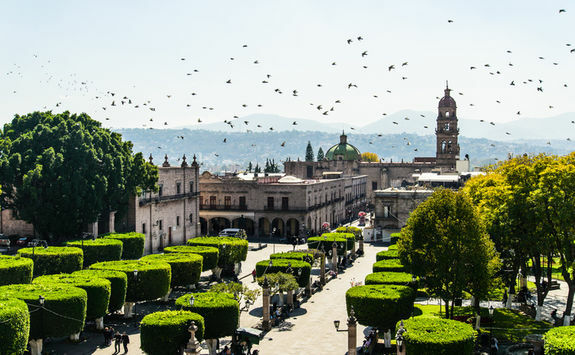 Wander through the achingly pretty San Angel, stone paved with flower-lined streets. 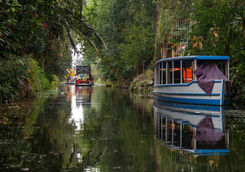 Then to Xochimilco, visiting Frida Kahlo's beloved house, Casa Azul, ravishing in cobalt hues. 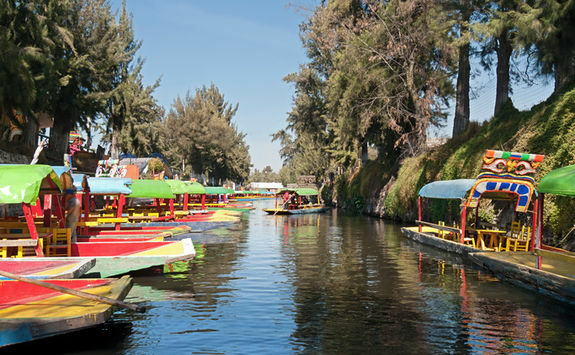 Your driver will take you a little further on to the floating gardens of Xochimilco, where you can cruise down the man-made canals on your very own trajinera (a flamboyant gondola-style boat). 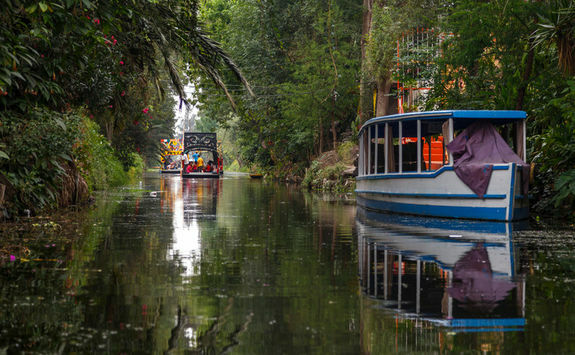 Navigate the fertile riverbeds or party like the Mexicans at the weekend when the waterways thrum with boats selling tamales and groups of people dancing to live bands. 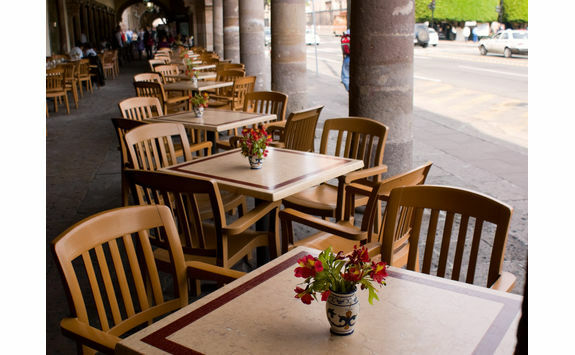 After breakfast, start your journey into the highlands towards San Miguel de Allende. 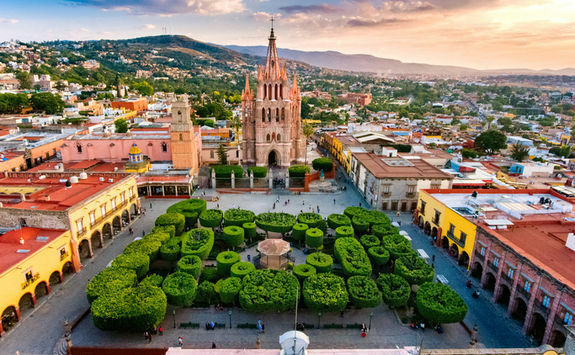 On the way, you can stop off at the colonial town of Queretaro to explore its pretty plazas, and 18th century architecture. 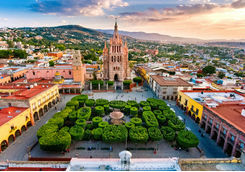 Then continue half an hour to the colonial jewel of San Miguel de Allende where your hacienda-style resort awaits. 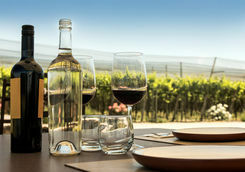 Ditch the bags and head to the rooftop for a cocktail and views of the city glowing under the lights at dusk. 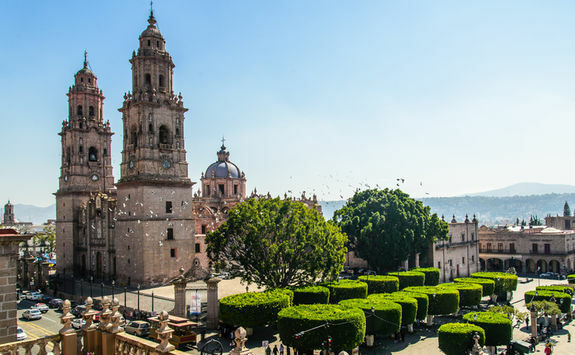 Spend the day exploring Mexico's most immaculately preserved colonial gem with the help of your private guide. 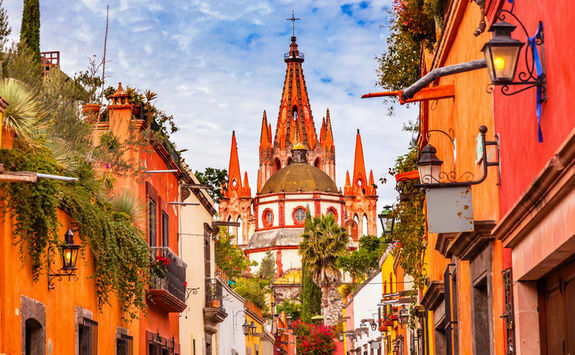 Swoon over the city's enchanting cobbled streets, rose coloured houses, beautiful leafy plazas and magnificent Spanish architecture. 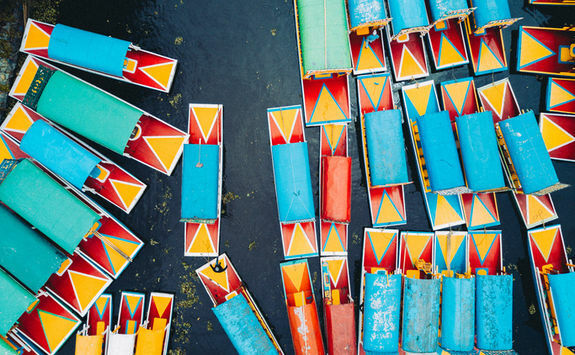 The city's art scene is just as alluring. 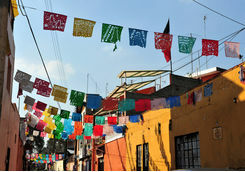 You'll have the chance to visit a family-run workshop and watch rugs being woven or lose yourself in La Fabrica de Aurora, a textile factory-turned-artist enclave full of galleries, design stores and workshops. 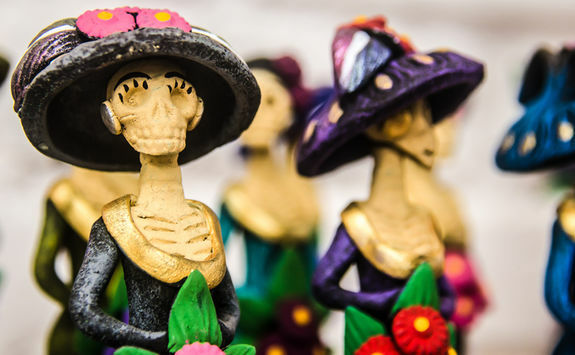 You could easily spend days in the neighbourhood shopping for antique lamps and decorative folk art. Thirsty work? 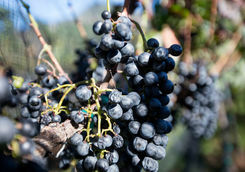 When you're ready to unwind, let us organise a private tequila tasting with an expert mixologist. 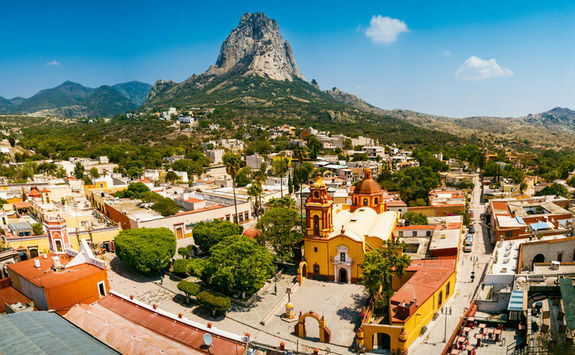 This morning, a drive will take you further out into the countryside to the pyramids of Canada de La Virgen. 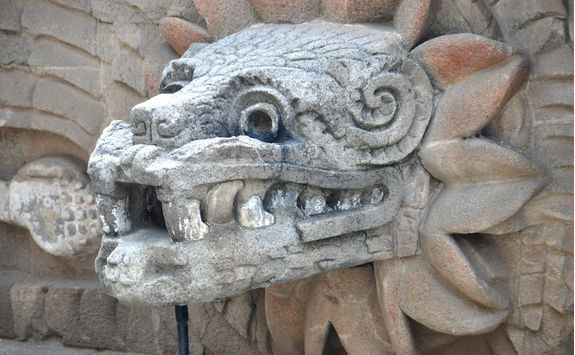 As you climb temple steps and inspect Pre-Columbian stone remnants, your guide will offer insight into the architecture, which is structured around the solar system. After spending some time here, return to your hotel where you can relax by the pool or head out into the city to explore at your own pace. 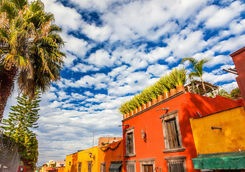 In the evening, the city revels in a burgeoning food scene and before you go, we'll recommend some of the best restaurants with artful tasting menus or traditional dishes with rich mole sauce. 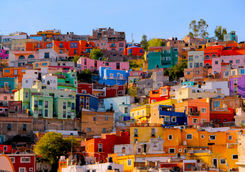 After breakfast a short drive will take you to the city of Guanajuato. 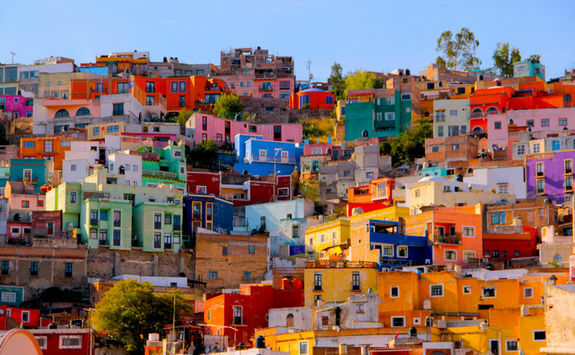 Tucked into a narrow valley, its pastel-hued buildings line the hillsides. 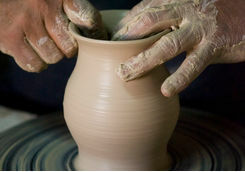 On arrival, you will be invited to the workshop of the potter Gorky Gonzalez, famed in his region for traditional ceramics. 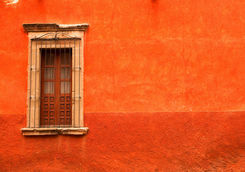 Then head into the city exploring the narrow maze of alleyways. 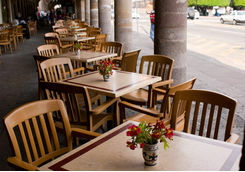 You can stop for lunch at Jardin de la Union, the beating heart of the city, shaded by laurel trees. 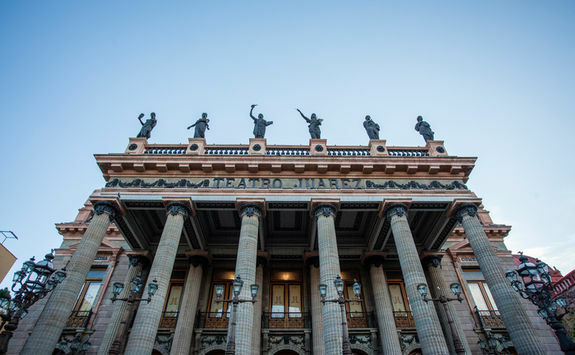 Teatro Juarez stands opposite with its magnificent columns and looming muses. 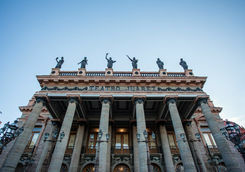 It's worth going to see a performance, if only to see the lavish gold and red interiors. Mexico's most famed artist (aside from Frida Kahlo), Diego Rivera was born in Guanajuato, and you can visit his childhood home, now a dedicated museum. Check-in to your elegant townhouse in the early evening and recharge before your first night in the city. 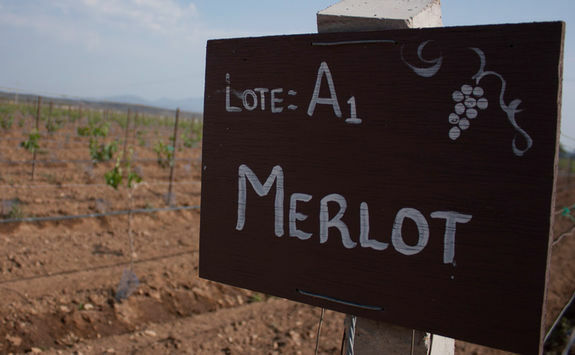 After days of adventure, it's time for some well-deserved R&R. There's nothing on the agenda this morning, so you may want to relax, soaking up the sun at your hotel pool. 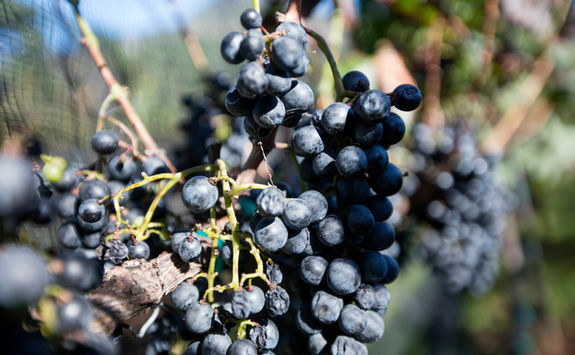 In the afternoon, your guide will take you to one of the best wineries in the region where you can sample world-class blends of cabernet sauvignon and shiraz. 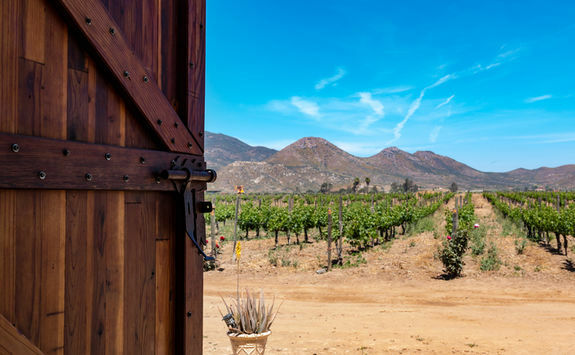 Aside from tasting award-winning wine, you'll be treated to a private tour of the vineyards as well as an indulgent four-course lunch. 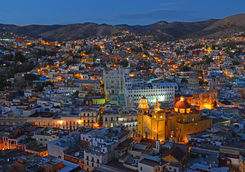 It's time to say goodbye to Guanajuato. 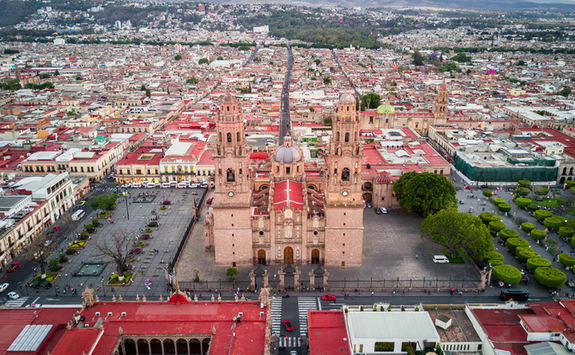 This morning a private chauffeur transfer will take you a couple of hours south to the virtually unspoiled city of Morelia boasting a pink stone cathedral, baroque facades and charming restaurants. 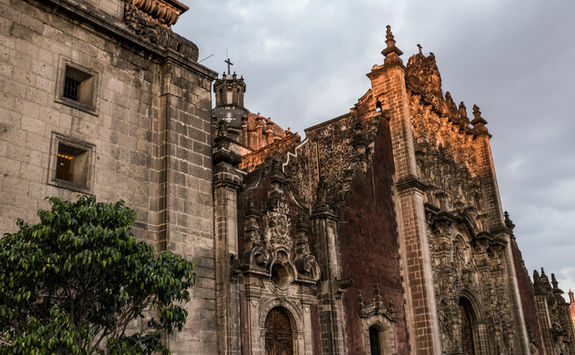 Pop into the Conservatorio de las Rosas and sit in its romantic courtyard listening to the sound of guitars drifting out of classroom windows. Further along, you can marvel at the 18th century aqueduct that fringes the edge of the city. On Sunday morning, the city centre is closed to traffic so hop on a bike and cycle the three miles alongside the arched domes. 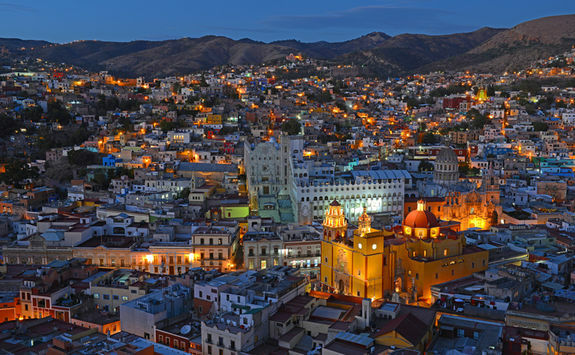 After exploring the city, head to your hotel, nestled in the city's cultural hub. 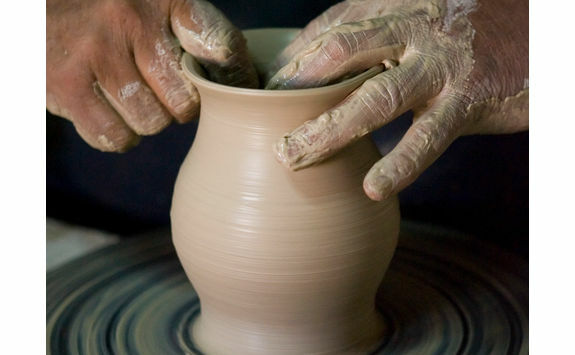 Spend the day meeting the region's extraordinary craftsmen. 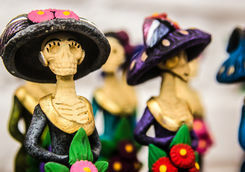 First stop, Capula to visit a ceramics workshop specialising in the macabre Catrina figures (mostly seen during Day of the Dead). 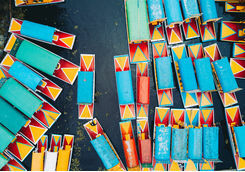 Journey to Ihuatzio, a 30-minute drive to lakeshores where local artisans expertly weave console tables, exotic animal figurines and armchairs out of reeds. 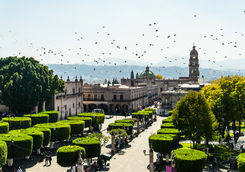 Onwards to Tocuaro, a village of traditional mask-makers, and then Patzcuaro where the local women embroider richly coloured shawls and pillowcases depicting Mexican mythology. You'll return to your hotel with enough time for a swim or even a massage. 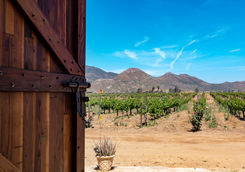 Tonight we'll book you somewhere special to celebrate your last night. 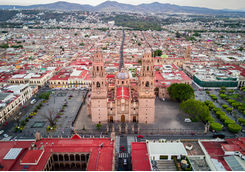 This morning you can relax at the hotel before a last lunch and then a private transfer to the airport in good time for your one-hour flight to Mexico City. 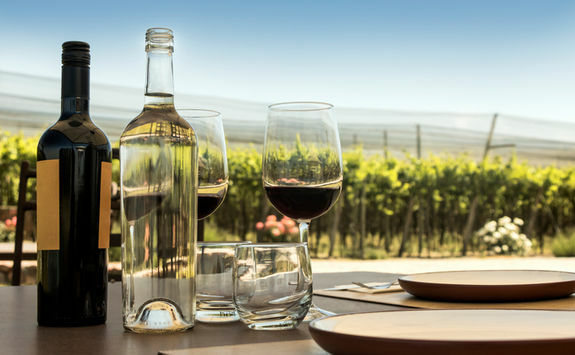 Connect to your late evening direct flight to the UK, which takes ten-and-a-half hours. Don't forget to charge the iPad! Arrive into London Heathrow in mid-afternoon.